Amplify Engagement with Interactive Content | BMT Micro, Inc.
Getting and keeping consumers’ attention is a challenging task for an online business. People are constantly searching and browsing the web, but only give their full attention to a few sites. What’s more, according to a Nielsen study, 84% of people watch TV while using at least one internet-connected device simultaneously. So how can an online business capture consumers’ attention and entice even the most distracted minds? Successful online marketing is achieved when an audience not only consumes content but also enjoys and acts upon it. More and more online businesses are understanding this principle and are ramping up their marketing by creating content with which consumers can interact. Interactive content engages consumers by answering questions, making choices, and exploring scenarios. Plus, it’s a great way a business can grab attention right from the start. Calculators are one of the easiest, most transparent ways to interact with an audience and show the impact a solution will have. Calculators help consumers make better purchasing decisions and show what an audience will gain by using a product or service (or what they lose if they don’t). Giving consumers data that is specific to them paves the way for a positive experience and puts a business in a great position to provide the right solution. Infographics are already one of the most shareable types of content a business can create. But businesses are now taking it a step further by creating animated, navigable infographics or other dynamic visualizations. These can help position data in a context that is easier for consumers to understand and internalize. Interactive infographics are visually stunning and increase engagement beyond scrolling by encouraging kinetic learning (even if the activity is only a click). Quizzes are amazingly popular and while many focus on delivering a fun distraction, businesses often utilize them for educational purposes. One benefit of quizzes is that they can help a business gather new persona insight over time by asking questions related to your audience’s needs, desires, and challenges. Like infographics, quizzes increase engagement and generate leads by encouraging kinetic learning. If you publish long-form content (like white papers or eBooks), creating a navigable version can help readers locate relevant sections more quickly. Instead of giving consumers a PDF to read through, add gamification to make eBooks or whitepapers more interactive and engaging. A business can also add multimedia elements like checkboxes and videos to challenge consumers to take action as they read. 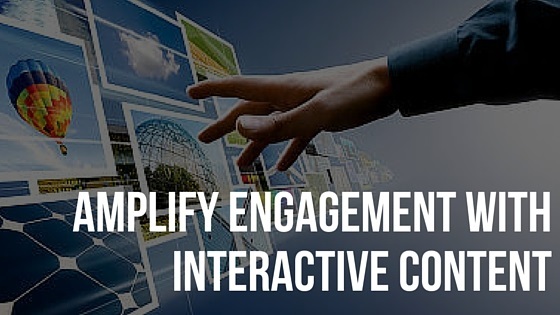 Interactive content offers an opportunity to differentiate your brand and engage consumers. It is a powerful, versatile way an online business can enhance their content’s reach, impact, and performance. Additionally, you will see improved conversions and better persona data to fuel marketing. If you are a vendor with BMT Micro and you have questions or need help with your marketing, we may be able to help. A Marketing Analysis and other Marketing services are currently available for our vendors. If you would like to learn more about the services we offer, please contact our Marketing Specialist via email at leah@bmtmicro.com for more information.